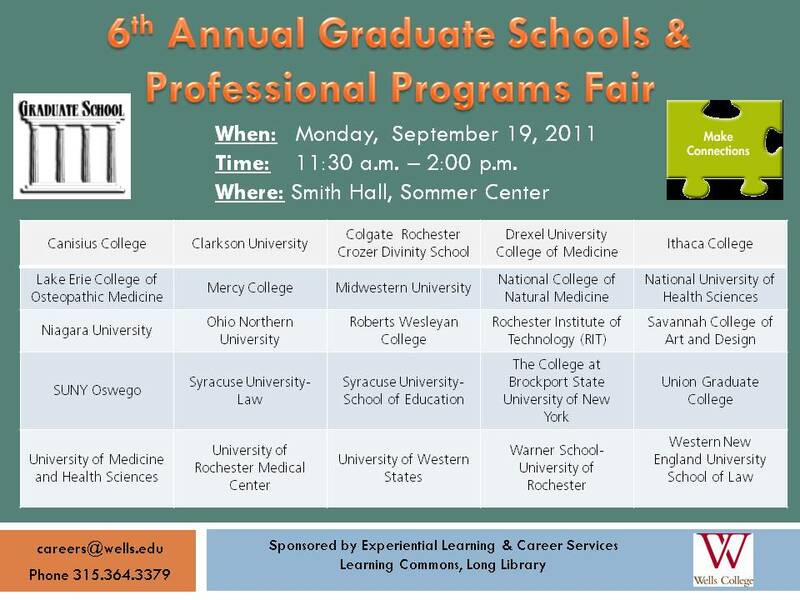 Experiential Learning and Career Services is excited to announce the 6th Annual Graduate School and Professional Programs Fair. Who can attend: Open to all members of the Wells Community! For more information or assistance, please contact Eric Vaughn at evaughn . Ithaca College Adolescence Education , Childhood Education, Health Education, Physical Education, Business, Sport Management, Communications, Exercise and Sport Sciences, Music, Occupational Therapy, Physical Therapy, Speech-language Pathology, Teaching Students with Speech and Language Disabilities.